Erica Bunker | DIY Style! 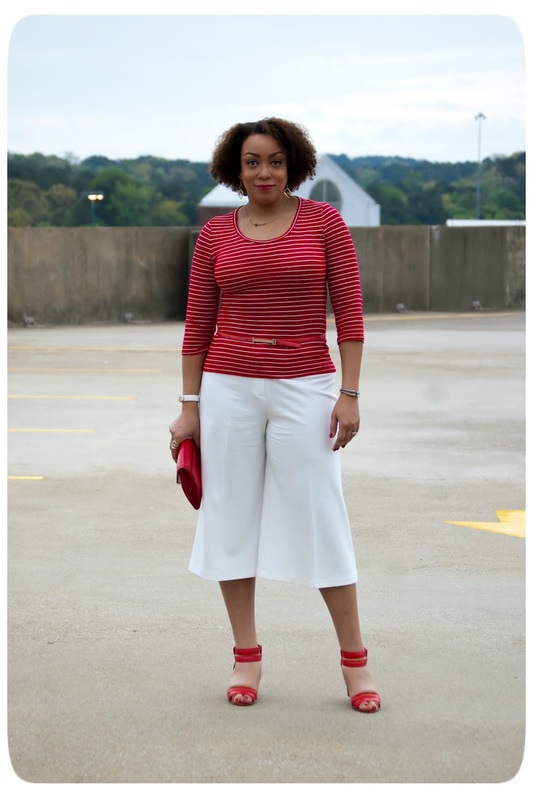 The Art of Cultivating a Stylish Wardrobe: What I'm Wearing | Maritime Stripes & Culottes! 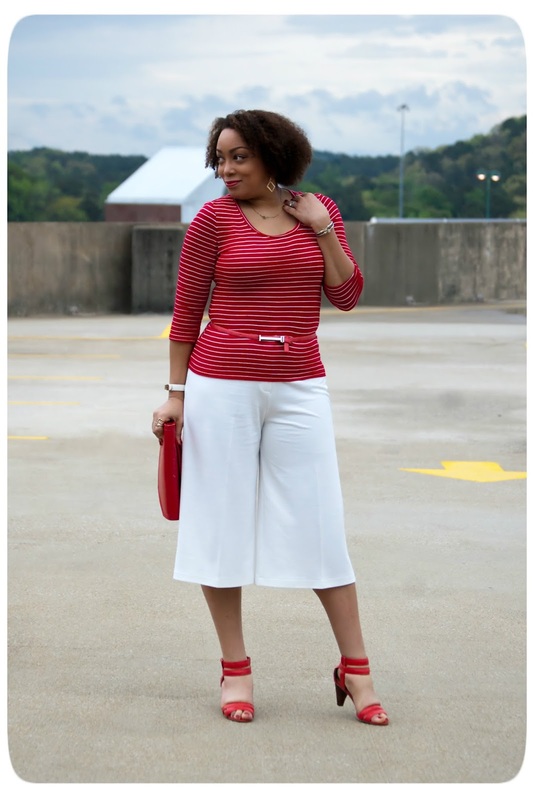 What I'm Wearing | Maritime Stripes & Culottes! 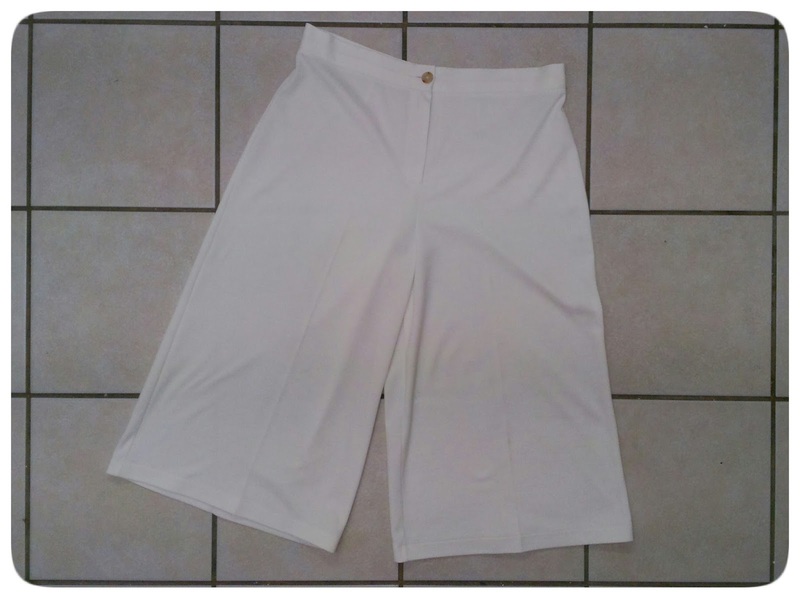 It's seems pretty befitting that culottes would make a comeback for spring/summer 2014. Midi skirts have been so popular now that it just makes since that such a similar silhouette would follow suit. And for a lot of women, I'm sure they'll appreciate the longer hemlines since culottes are a great alternative to shorts and clam diggers. For my culottes, I dug way back and deep into my pattern cabinet because I knew I had several options to choose from. These were pretty popular around 2006. 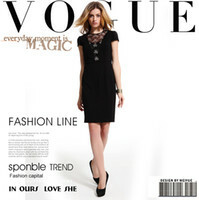 The pattern I re-visited is (OOP) Butterick 4861. I used a white ponte knit. I cut the size 16, and added 3 inches to length to achieve that mid-calf hemline. I had to take them in a tad at the center back. I interfaced the 1 1/4" hem. I wanted the hem to be crisp and clean and slightly weighed down. Even though the pants are knit, I still wanted them to have a tailored appearance. For my top, I used New Look 6735. It sewed perfectly out of the envelope without a single alteration. I used this great red and white striped nautical knit fabric from Joanns. It has great stretch recovery, which is the key element I look for in a knit fabric for this type of garment. I love creating garments that I foresee in the making, that I'll receive major mileage out of. And that a striped top and white culottes will be worn many, many times this season! And never mind if you wore these back in the day. They were awesome them and even better now! I can't wait to make a pair in a wool herringbone tweed and wear them with tall leather boots! I love anything with a nautical vibe and this looks so Cape Cod and so wonderful. 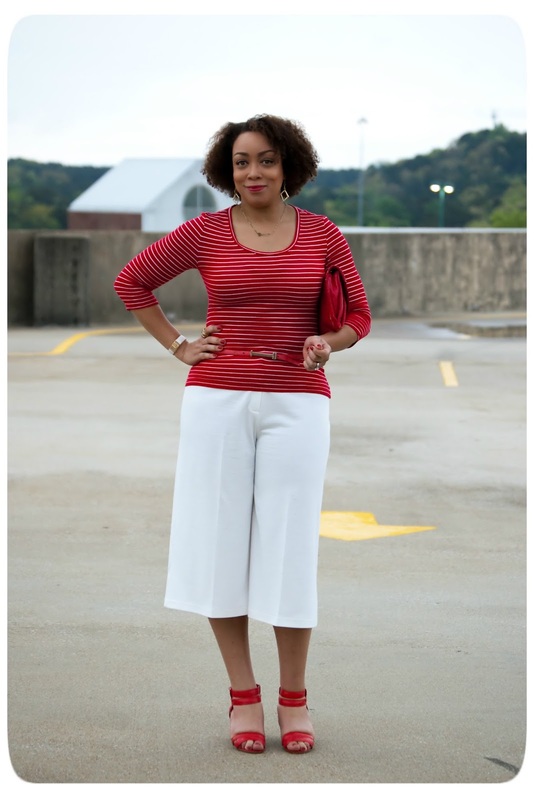 I love how tailored these culottes are in comparison to what was around when I was a kid! A winning combination outfit! I might have to steal your ideas! Feel free to do so! Thanks cheekychacha! I love every part of this look. No one wears white like you! Thanks for sharing! That knit sewed perfectly! Thanks Jenny! Now these I like! I can't find any white ponte to save my life lol. Found it at Joanns! Thanks Adrienne! This is such a great outfit; perfect smart casual! The key is stabilizing! Thanks Angela! I'm always finding that I need more and more "basics" in my wardrobe. You'll be seeing quite a few from now on. 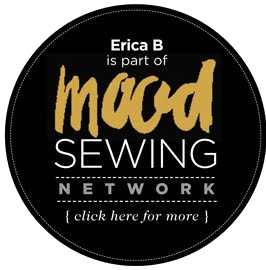 Thanks sewforward! Great outfit! You have the long legs to pull these off. Love this outfit and the culottes! These types of outfits sometimes make me regret that my workplace is so conservative. 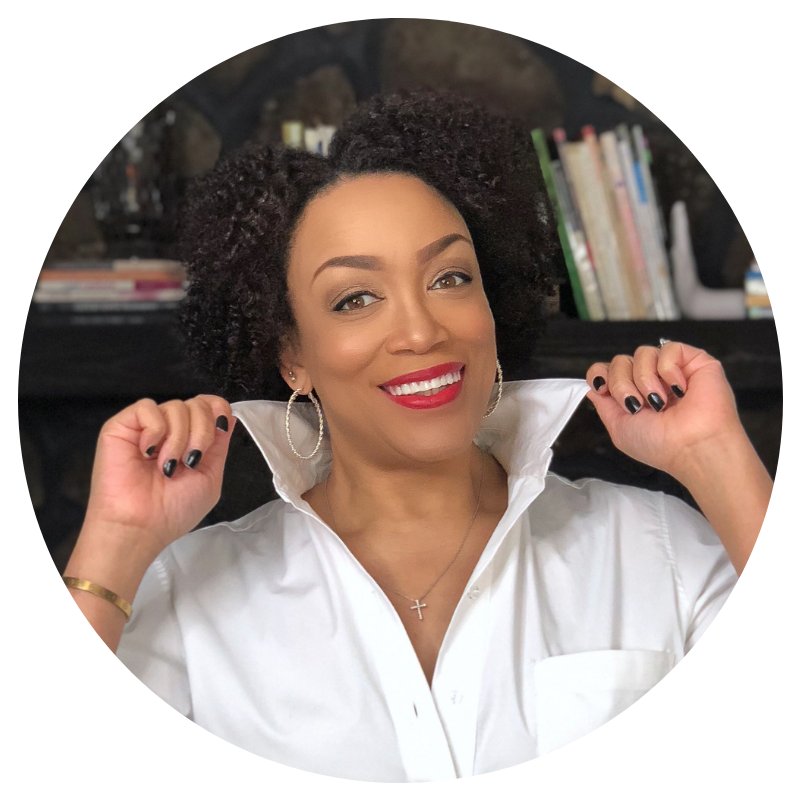 Will definitely be fab for fall the way you described! Love the entire look! I have that striped fabric in my stash. I heartily agree about the evolution of the midi length. Thank you again for sharing the sewing details. I love knowing how you achieve your results as much as I love seeing them. Interfacing in the hem area is a great trick to get that crisp firm hemline. I always learn something when I visit you. 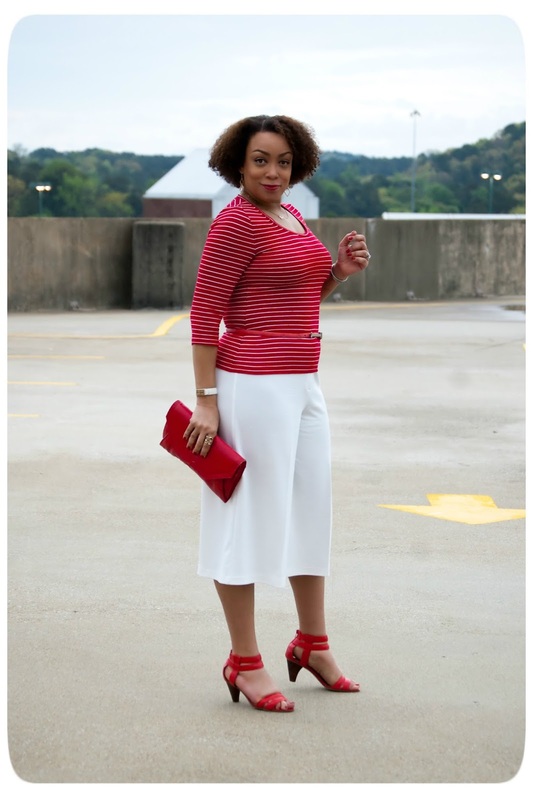 Love love love the white culottes with paired with the red striped top. I think this is a timeless classic look. Love the outfit! I do like culottes but being rather short, I don't think I could pull off the look. They look great on you though! Great outfit. You look very comfy. 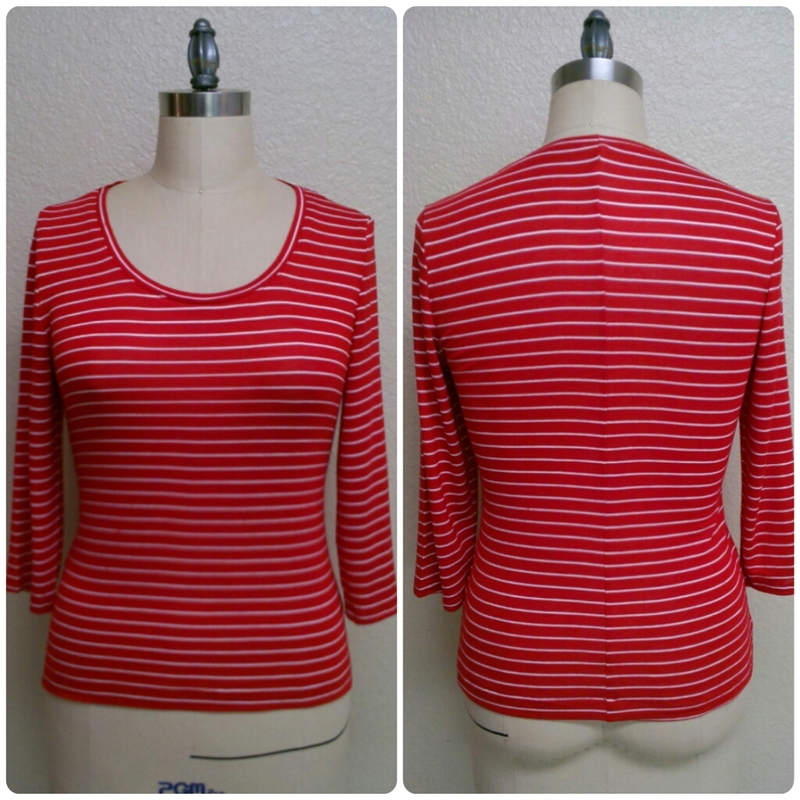 I love how the trim around the neckline of the shirt has a perfect stripe around. Is the crease on the front of the bottoms just ironed in, or will it stay with washings? When you set a crease during the construction process, it's permanent. Thanks FlyingPurpleHippos! Ah! If only I had all of the time in the world! Thanks for following justgettingstarted6597! The culottes look so crisp and perfect! I was amazed to find out they are a knit! You looked good! I also have culottes with flower prints! Actually, I wear them during spring and summer because it feels light and comfortable. Great outfit. I particularly love the stripe for the top. I must see if my JoAnn's has it in a navy and white as well. Perfect for spring and summer. Thanks Nancy! I just bought a black and white nautical stripe knit. And I'm going to make another top like this one. These look great! I was just thinking that I should make some culottes! Erika, I just love that look! May I ask if the red stripe is a blue red or an orange red? Thanks, I've been following your blog for ages and am always inspired! It's more of a blue red. Thanks Cherie! Butterick 4974 | A Blue Halter Sheath Dress! What I'm Wearing | Spring Oldies, But Goodies!